"Great Estimating Tool with Few Flaws"
I like being able to copy one estimate to use as a template for a similar one. I also like that the modules 'talk' to each other. The character limits in the descriptions is a problem. We have to abbreviate some line items to the point no one can understand them. Definitely, need the ability to adjust line lengths. Training right when the product is implemented is crucial and it needs to be more than 1-2 people. Anybody that will be using it needs immediate training on ALL modules, whether they will be using them or not so there is an in-house expert. Keeps track of all our estimates in one place so we don't have to rely on each individual estimator keeping their own records, especially with the amount of turnover in this profession. We are able to track price increases on similar projects and that is a huge benefit. "Heavy Bid's support and structure are great"
The support you get with Heavy Bid is top notch. Whenever we have problems or questions, support is very responsive. Also, we like the way the system breaks everything down, and the operator is able to modify how bid items are structured. It's a very intricate system with multiple options on how to achieve the exact same result so it makes it easier for mistakes in the overall picture with multiple operators on the same bid. Dislike the fact that you cannot undo. We can put together a good comparison between subcontractors and suppliers and compare apples to apples, which is beneficial to the bid. "Very Simple or Complex Bidding program"
You can reuse crews, labor rates, and cost codes. It is repeatable for estimates. You can import from other projects. The reports could be easier to use. Sometimes crashes happen. We can use this to export to our budget so there is no lag from the estimate to the budget. We can look back to see if we beat the budget on our job. HeavyBid allows us to adapt to what the market is demanding and many competitors are in the area. We are able to kick out more estimates, more accurately and efficiently making more sales for our company. It definitely increased our revenue, increased our market share, and ultimately increased our profitability. Not able to be used by some of our teams that are not tech savy, a little bit too complicated for them. They still prefer hand written estimates. HeavyBid is a multi-user software system that reduces errors and version issues of spreadsheets. Allows you to build well-documented estimates that will be accessible as long as you need them, and it allows you to build complicated estimates with ease. They also provide you with instant 24/7 customer support for your last-minute bids and complicated estimates. Having all subcontractor quotes available on one screen and being able to compare who has what in their scope is a savior on bid day. Takes a bit of time to get everything set up properly. Once everything is set up though, you can easily copy preset between bids and adjust accordingly. We use HeavyBid for all of our Heavy and Building bids. It provides our organization with a common organized place to collaborate on entering takeoff quantities and subcontractor quotes. its a lot to take in.... took a few months of use to get relevant parts down. 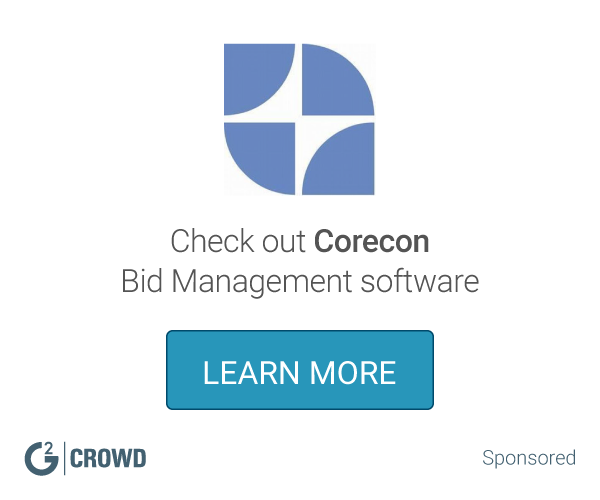 "Utilizing HeavyBid in our construction project bidding process has been a great benefit." Everyone on our team is able to input numbers into the bid and we all speak the same "language". We can save our general costs and therefore we are not reinventing the wheel every time we put out a bid. This is saving us time and costs, while also ensuring better accuracy. The costs are high to add additional software under HCSS. Other than that, no complaints yet. We are seeing less errors and we are increasing the bids we have won. Therefore, our backlog of work has increased since acquiring HeavyBid. "As a full-time Heavy Civil/Site Concrete Estimator, I use HeavyBid everyday." The HCSS technical support team is hands-down the best. They always know how to answer your questions and are open to ideas! Limited integration with takeoff sodtware. Due to its integration with HeabyBid, I’m able to consistently utilize recent production history and justify my activities based on accurate data in my bid. No reverse button. I would like to get an estimate software capable to combine all the softwares we use in one software. Schedule, invoices, cost, estimating, quantity tracking and desing. Working health and safety explained everything to be safety in you job with details to understand every worker. Picture without details , many photos without explication don’t have properly 100% effect. The ease of use, as well as the company's numbers being right there so you dont have to ask the estimator or wait for him/her to get back from vacation. There is not much that i dislike to be honest. The coactivity between project managers and coordinators on bids. * We monitor all HeavyBid reviews to prevent fraudulent reviews and keep review quality high. We do not post reviews by company employees or direct competitors. Validated reviews require the user to submit a screenshot of the product containing their user ID, in order to verify a user is an actual user of the product. Hi there! Are you looking to implement a solution like HeavyBid?